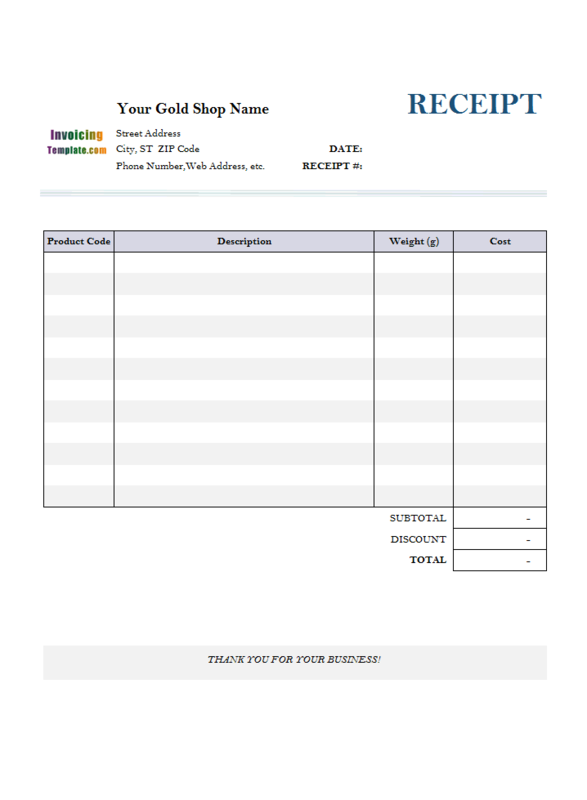 Receipt Template for Gold Shop is a free blank receipt template and cash receipt template designed especially for gold shop. 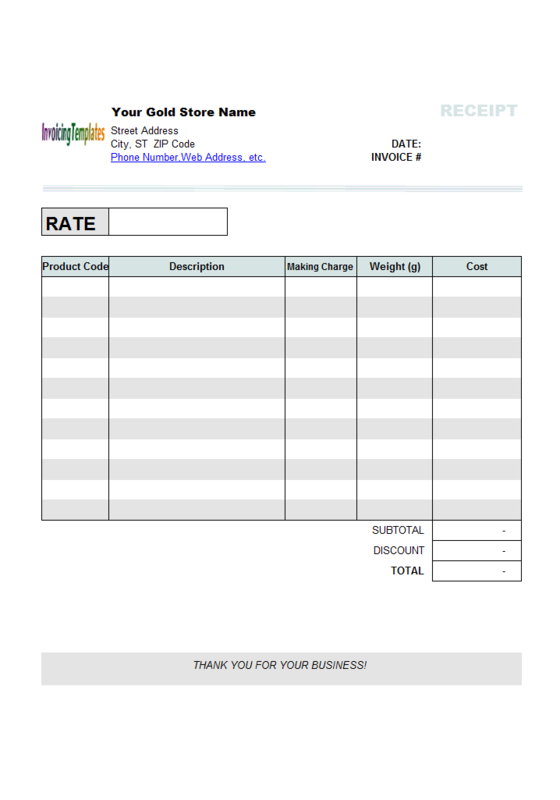 The template has a Rate field outside of printable receipt form, with which you can specify the current unit price of gold. 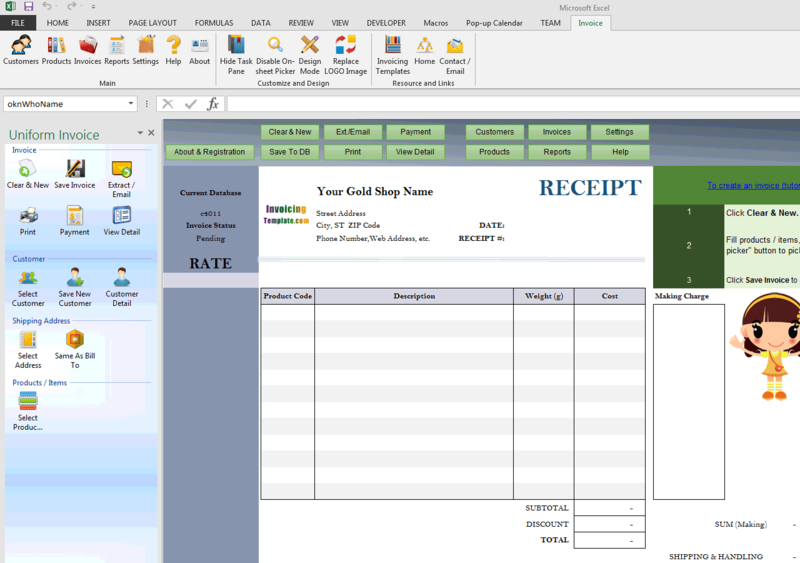 c4011 now includes the customized invoice template for the latest version of Invoice Manager for Excel. 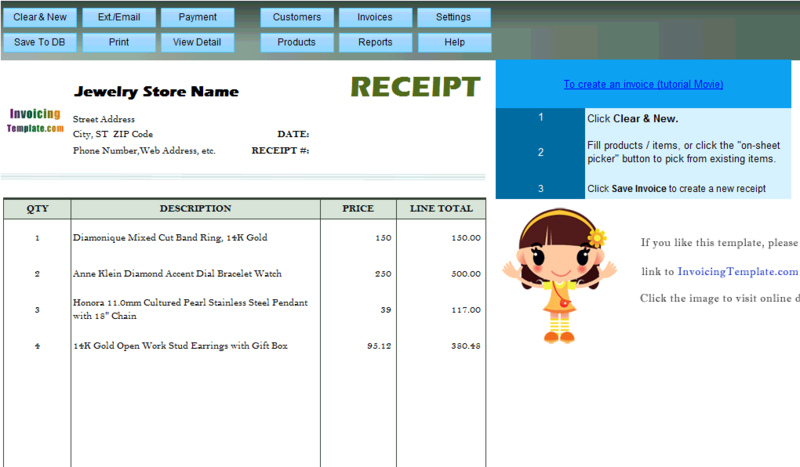 This is what you will see when you open receipttemplategold1.xlsx. 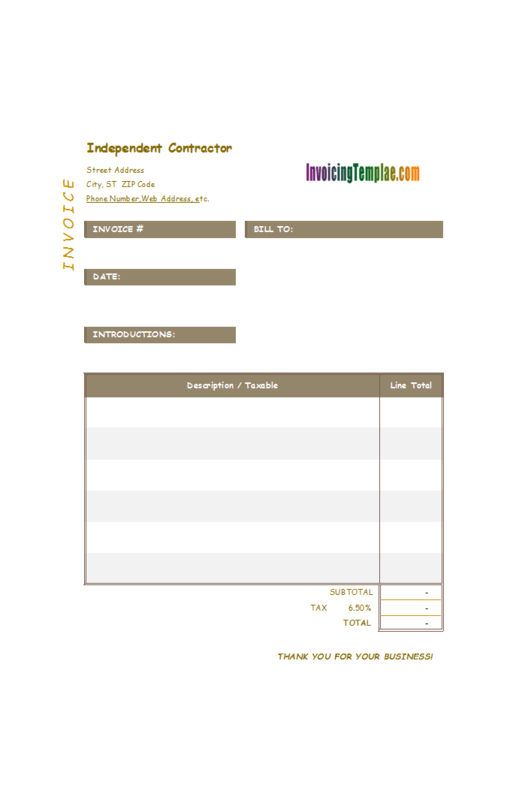 Download this if you have already installed IMFE, and are looking for additional customized templates; or if you want a template for Invoice Manager (Lite). 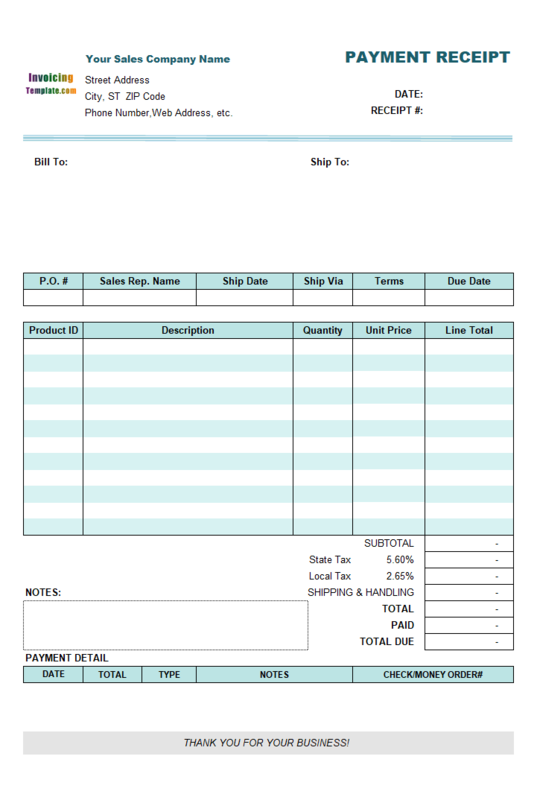 The free receipt template does not include "Bill To" and "Ship To" section inside the printable receipt form. 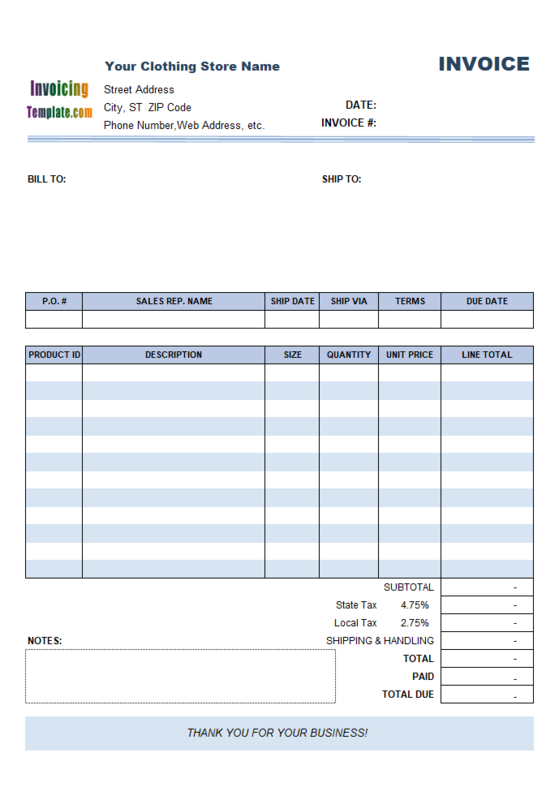 The two common sections that appear on almost all free invoice templates available here on InvoicingTemplate.com, the "Bill To" and "Shipping To" sections, are moved out of the printable receipt form. 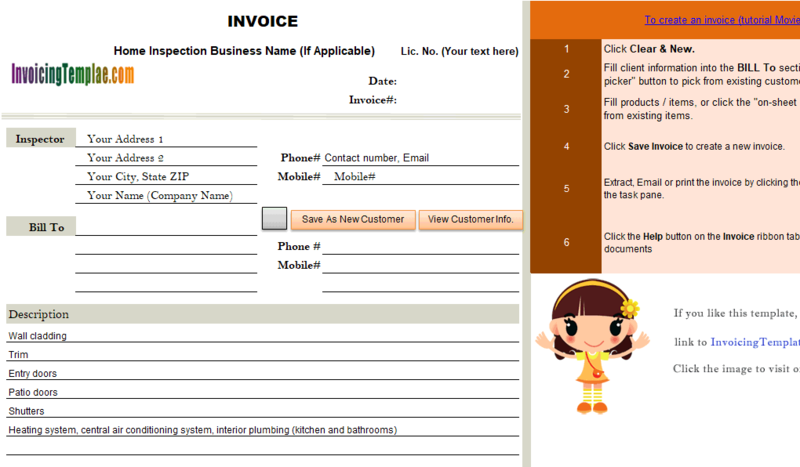 If you have tried Invoice Manager for Excel (namely Uniform Invoice Software), you probably have noticed that the information appear in the "Bill To" sections are required - especially the Customer# field. If the Customer# is blank when the "Save To DB" command is being clicked, Invoice Manager for Excel (namely Uniform Invoice Software) shows a warning message and refuse to save the invoice to database. So how we make it possible to save a receipt in Invoice Manager for Excel (namely Uniform Invoice Software) without manually filling in customer/client information? The secret is simple. Remember we are using Microsoft Excel that has a unique feature called Excel formula, which does not exists in Microsoft Word. 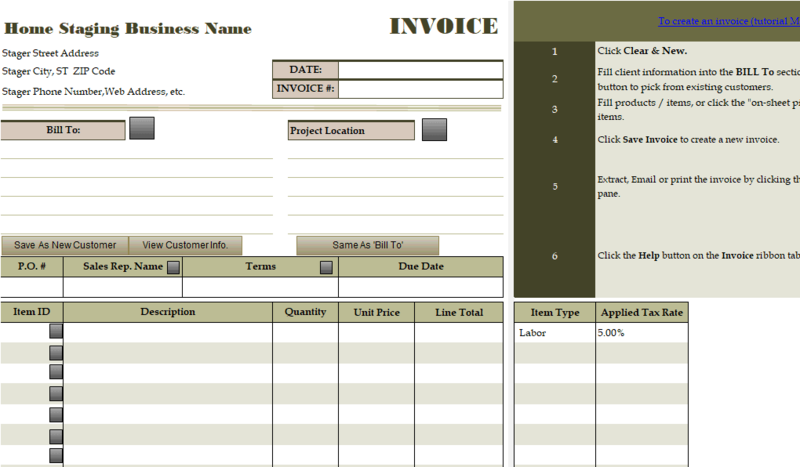 By using Excel formula, we can easily assign default values (or place holder values) to those fields that must be filled according to Invoice Manager for Excel (namely Uniform Invoice Software), but not used in this money receipt template. 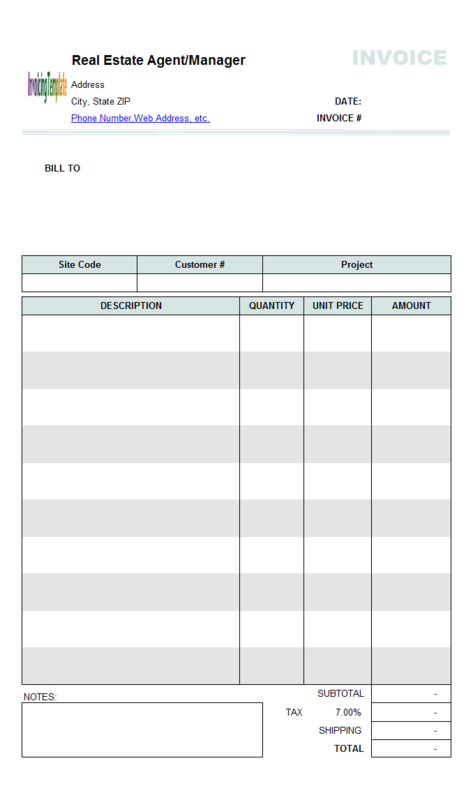 For example, after moving the "Bill To" section out of the printable receipt form, we assign the formula (="PSName001") to the client name of the receipt, and assign the formula (="ps001") to the client# cell. Both Excel cells are then locked to prevent accidental modifications to the formula. Since the gold shop does not use or record these information, we can in fact assign any default values to these required cells. How do I lock / unlock an Excel cell / range? 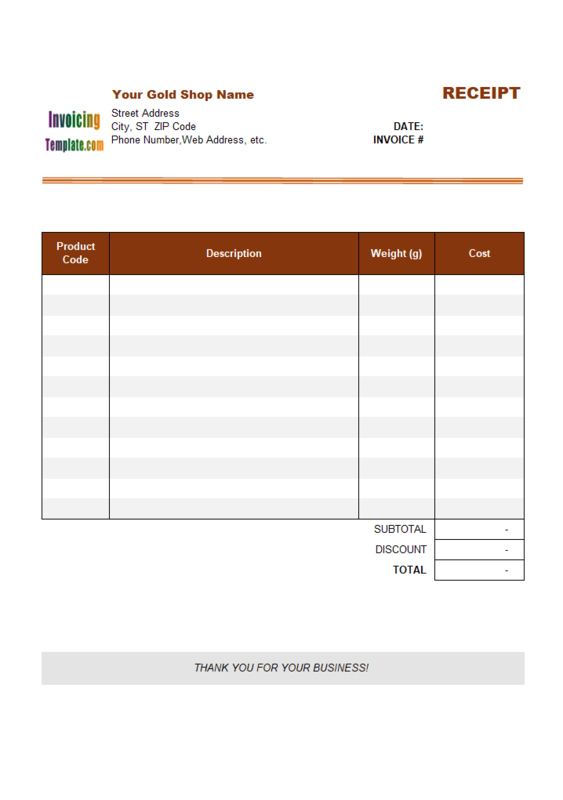 The discount field located on the bottom of the free receipt template allows you apply a discount to the whole receipt. 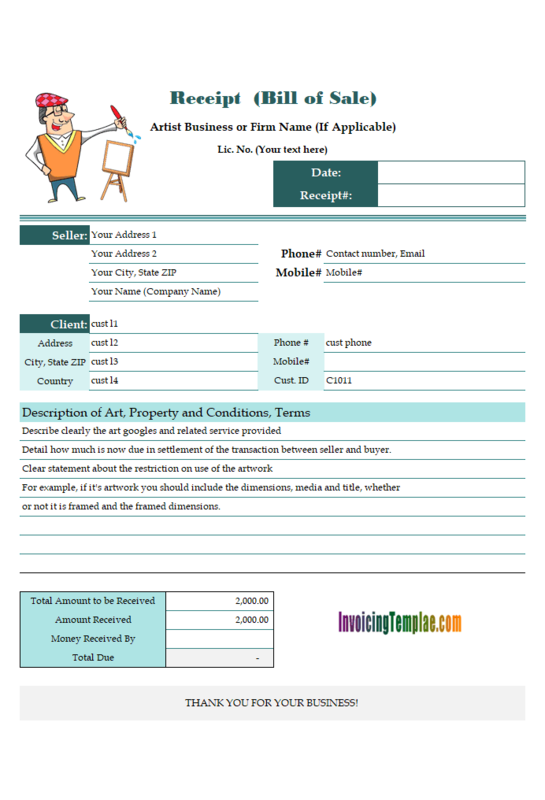 The payment receipt template does not include tax fields on the bottom of the form. 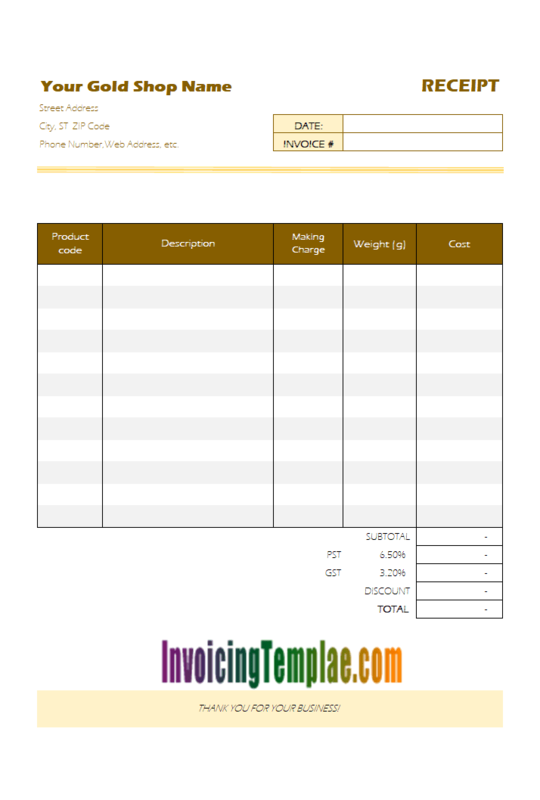 The cash receipt template also has a "Making Charge" column outside the printable receipt form. It is a common practice for gold shops to add a making charge to the base cost (unit price * weight). So in this receipt the cost of each item is in fact calculated with the following formula: Weight * Rate + Making Charge. 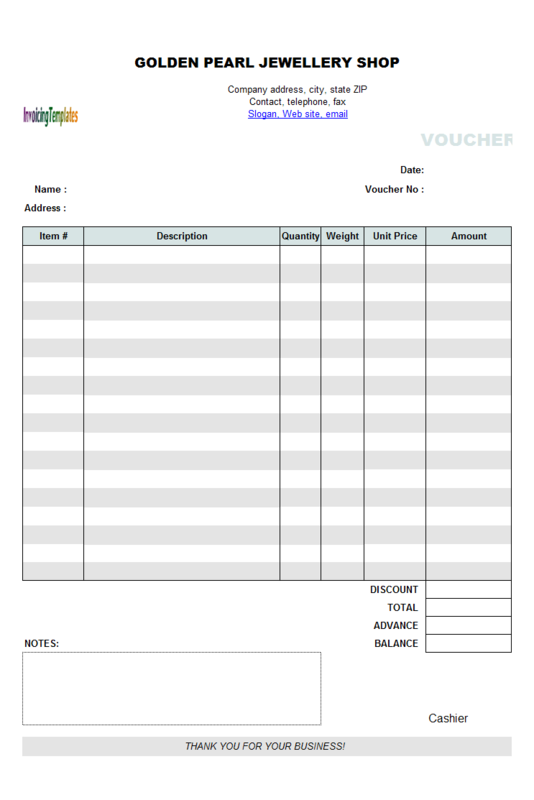 If you are running a gold shop, feel free to download and test the free receipt template to see it meets your requirements. 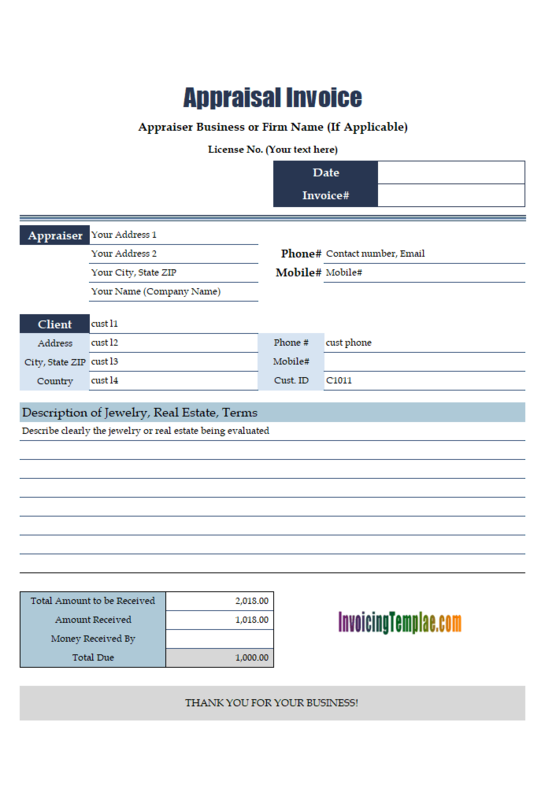 InvoicingTemplate.com also offers you variants of this receipt template, see Receipt Template for Gold Shop (2), which has the Making Charge column placed inside the printable receipt form; and Receipt Template for Gold Shop (3), which as the Rate cell moved into the printable receipt form; and Receipt Template for Gold Shop (4), which as both the Rate and Making Charge column moved into the printable blank receipt template. 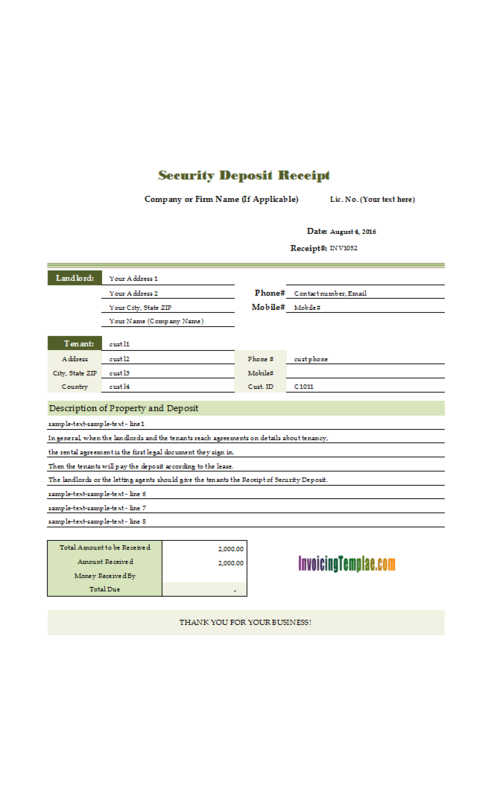 Like other form designs here on InvoicingTemplate.com, Receipt Form for Gold Shop is free (offered to you at a price of 0.00USD). It works on Windows XP and all newer versions of Windows, and Excel 2007, 2010, 2013, 2016 or 2019. Removed unnecessary "pick an item" buttons from the Excel worksheet, as now Uniform Invoice Software supports a live on-sheet picker which pops-up whenever you click a supported cell. "oknWidget_logo" is now a standard Excel "Picture" object, instead of an ActiveX Image control. Expanded the size of "Receipt#" and "Receipt Date" cells. Copyright © 2013-2019 Uniform Software Ltd. All Rights Reserved.